Calvin L. Smith: The EU's "useful idiots"
Earlier this week the European Union, in a breathtaking display of complete misunderstanding of the complex nature of the Middle East conflict, singled out and targeted Israel in the EU's ongoing efforts to make itself politically relevant. 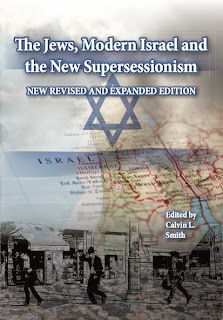 In doing so it has threatened any last vestiges of influence it has upon the Jewish state. But irony of ironies, a film has just surfaced of an imam preaching from a Temple Mount pulpit a few days ago in which he calls for Europe's destruction and the re-establishment of a new Caliphate (you know, that Muslim political entity which tore Europe in two for centuries quite a long time ago). I'm reminded of those Western Soviet propagandists during the Cold War often referred to as "useful idiots". For its part, I think Israel is becoming a bit too soft, allowing this kind of thing. Perhaps it's time to act as they are frequently accused and viewed. They could start by ending all EU projects in the West Bank, then move on to take back the Temple Mount. After all, no one preaching such rubbish deserves any land. As I keep saying, the Palestinians have had a raw deal, owed in substantial part to a long history of dismal leaders who refuse to make peace with Israel. Very soon there'll be nothing left for them to negotiate for. Well said Calvin! Couldn't agree more.